On November 6, Americans will have the opportunity to vote for a record number of women running for public office. One who burst onto the scene last year is former fighter pilot and mother of three Amy McGrath, the Democratic candidate for Kentucky’s 6th US House district. 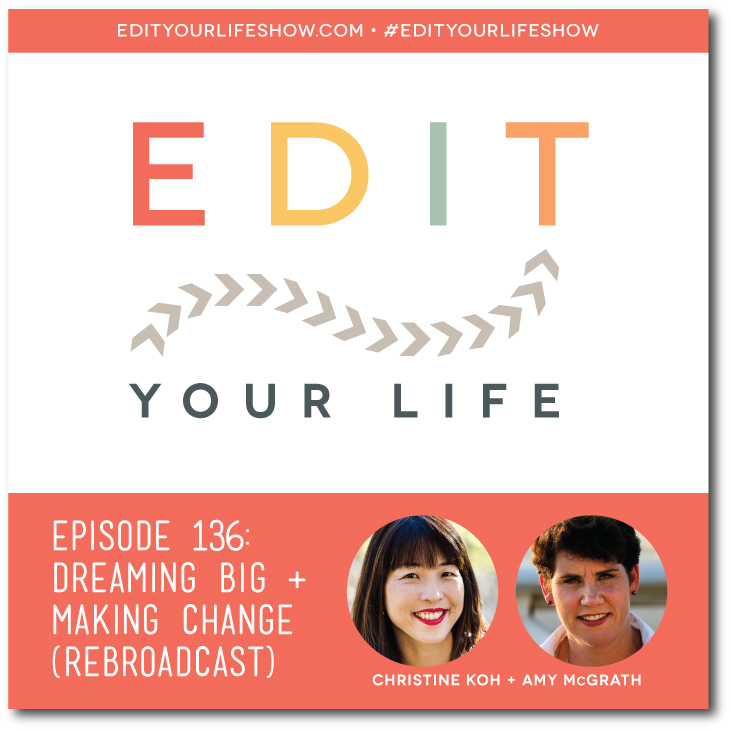 In Episode 136 of Edit Your Life, we rebroadcast Christine’s November 2017 interview with Amy. In this wide-ranging, personal conversation, Christine and Amy talk about finding and using your voice, how best to support kids, the pivotal moment that prompted Amy to run for Congress, and how she’s juggling the demands of family life while on the campaign trail. Should you feel inspired to donate to Amy McGrath’s campaign! Which candidate do you hope wins their election on November 6? Join the discussion on the Edit Your Life Facebook page (look for the Question Of The Week post pinned to the top of the page).